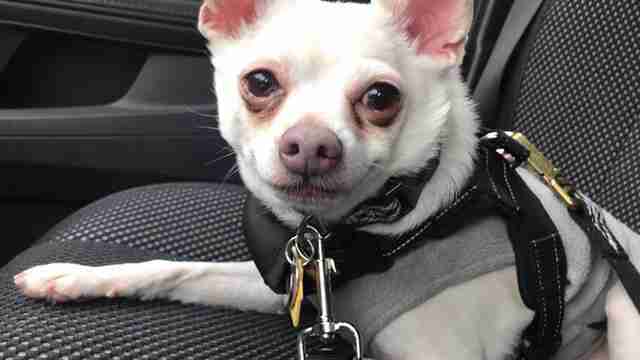 In late 2016, Pablo the Chihuahua’s family dropped him off with their pet sitter — and then decided to never come back for him. 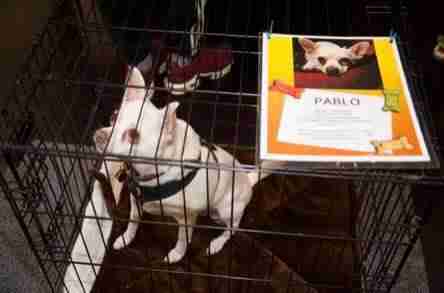 Terrified and nervous in the unfamiliar place, Pablo wouldn’t do anything but bark. It had been weeks since he had last seen his family, and he didn’t know what had happened to them. 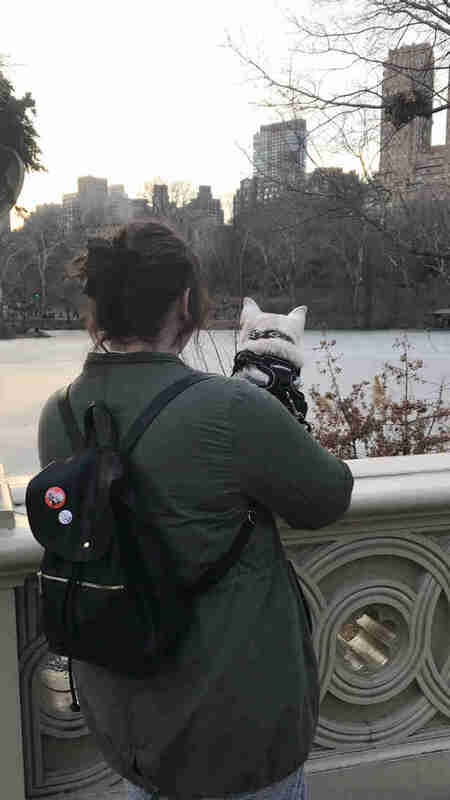 After five months, the pet sitter didn’t want to listen to the noise anymore — so he posted online that he would either be bringing the dog to a kill shelter or selling him on Craigslist. Although he was finally safe, Pablo’s fears were far from over. He was so afraid of everything that the barking continued — and he barely let people come near him. 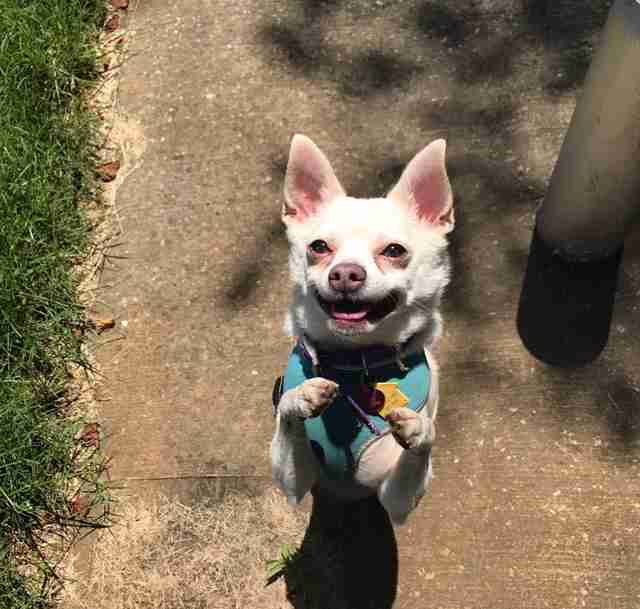 After being health-checked at the vet, Pablo was cleared to move on to a foster home that could help him tackle his fears and cut down on the barking. 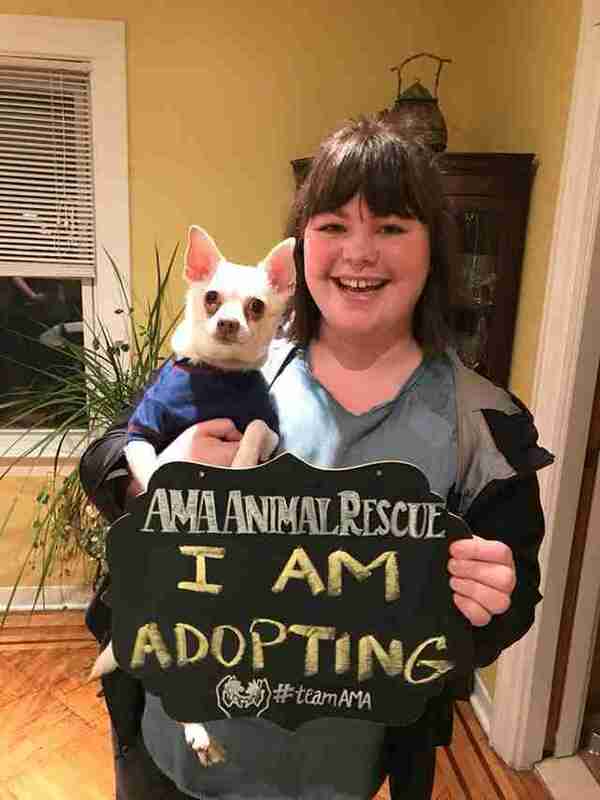 When looking for a foster home, Walsh was concerned that Pablo wouldn’t open up to anyone — but when Pablo met a potential foster, Alexia Perimone, he connected with her instantly. Once he was settled in, Pablo began six months of regular training sessions to help build his confidence around people. By December 2017, Pablo was finally ready to be placed up for adoption. It wasn’t long before Maura McHale, a resident of Queens, New York, fell in love with his photo online. She was approved to adopt him soon after. On the ride to his new home a few weeks later, Pablo knew he was never going anywhere else again. “His favorite thing to do is literally dance,” McHale said. “He gets up on his hind legs and prances around. He’ll get so excited, knock the pillows off the couch and just start dancing." Knowing everything he went through with his former owners, the best reward for McHale is knowing he’ll never have to worry where his home is. To keep up with Pablo’s adventures with his new mom, you can follow him on Instagram. To help more animals like him, you can make a donation to AMA Animal Rescue.